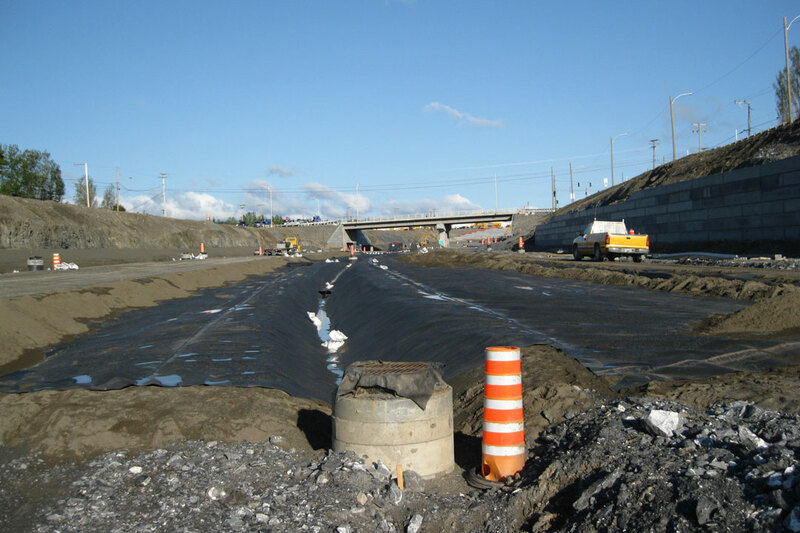 Polyethylene geomembranes are ideal for waterproofing works that require long-term durability. PE high chemical stability makes it the most widely used material for landfill, tailings ponds or water treatment basin projects. LLDPE geomembranes have excellent resistance to multiaxial elongation. They are generally used in applications where differential settlement is expected, as they can deform without losing their properties. They are available in two surface finishes. 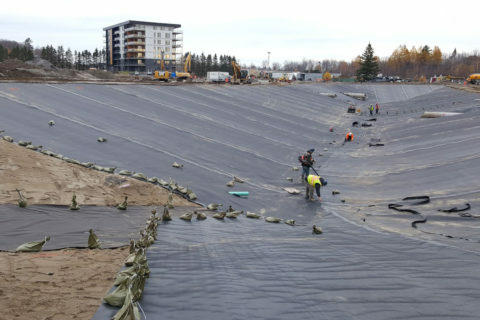 The smooth finish is used in flat terrain while the textured finish provides the friction needed to retain granular materials in the embankments. A white finish is also offered, which is more UV-resistant and reduces the expansion of the geomembrane on sunny days. Waterproofing of ditches, lightweight embankments, etc. 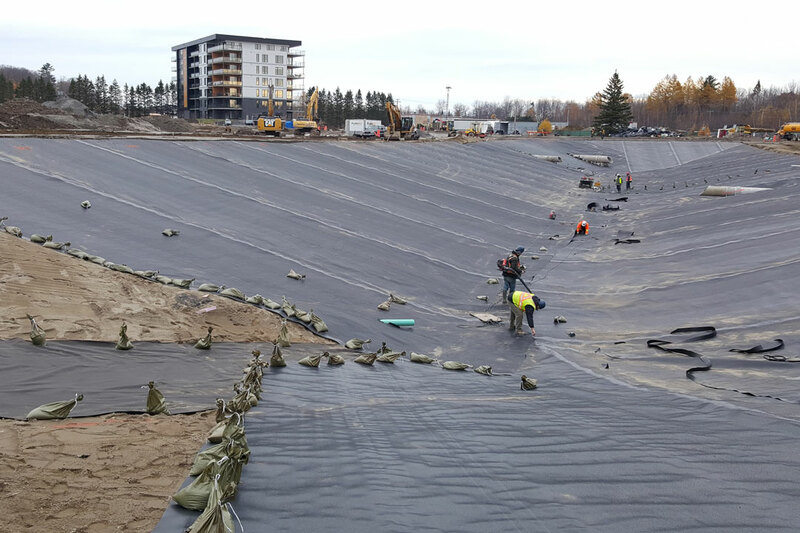 HDPE geomembranes are made from premium grade resins and are ideal for structures requiring low permeability and long service life. They are often chosen in waterproofing landfills and various pools for their chemical inertness and resistance to UV. They are available in two finishes. The smooth finish is used in flat terrain while the textured finish provides sufficient friction to retain granular materials in the embankments. A white finish is also offered, which is better resistant to UV and decreases the expansion of the geomembrane on sunny days.